Long career in property restoration with National Trust and independently. Ran own gallery and art exhibitions locally for 10 years. Trustee for 5 years, Shipston Home Nursing, a local hospice at home charity. Wellesbourne parish councillor for 5 years. One son, three fab granddaughters. Interests inc. medieval history, books, books and more books, chess, the gee gees, recipes and gardens. • Cllr Bartlett is a member of the Index Working Party and WWPC’s representative to The Boyse Charity. Member of the Council since 1980. • Cllr Bolton is Chairman of the Office & Staffing Committee and the Index Working Party. She is Vice Chairman of the Highways, Environment and Emergency Committee and the Community Facilities Committee, and is WWPC’s representative to the Village Hall Committee. I moved into Wellesbourne in 2002 living on Lowes Lane, the Dovehouse and now Ettington Park, where I live with my wife Kelly and our family. I studied for my MBA and then my Law degree - both of which have served me well. With almost 30 years in the automotive industry I have dedicated over 12 years to campaigning to raise awareness of road safety issues; regularly you’ll find me working closely with the emergency services and Highways England. In September of 2017 I became a Parish Councillor and a Trustee of the Wellesbourne Sports & Community Centre. I am also a member of the Institute of Directors, a Liveryman of the Worshipful Company of Wheelwrights and a Freeman of The City of London. I am married to Anita and we have two Sons and two Grandchildren. I was educated in South Wales and my working background is in Finance and Automotive. I retired in 2002 and moved to Old Sodbury in South Gloucestershire from Sutton Coldfield. I served as an elected Councillor on Chipping Sodbury Council for five years. We moved to Wellesbourne to be nearer our Family two years ago. I am a mechanical engineer and head project management for a company leading the way on electric vehicles. I have lived locally since 2011 and am Group Scout Leader, promoting everyday adventure and developing positive life skills for nearly 100 of Wellesbourne’s girls and boys aged 6-18. When I'm not organising camps and recruiting volunteers, I am Mum to two active teenagers, enjoy getting outdoors, local history, curry, scuba and going to the cinema. I first joined the Council in 2011 and was re-elected in 2012. 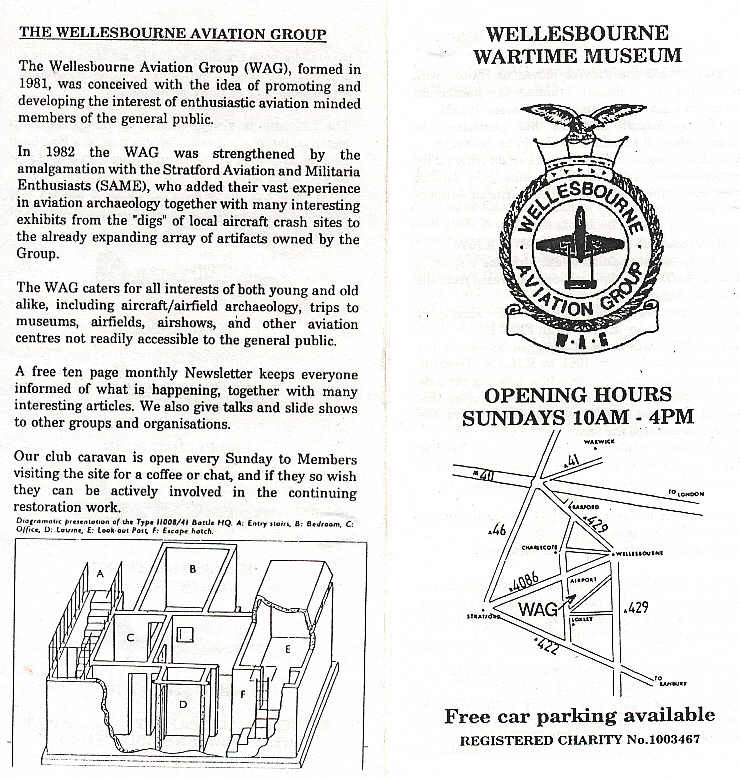 I grew up in Wellesbourne and have always lived in the village. As well as being a district councillor for Wellesbourne, I am also a history teacher. My interests in include reading; skiing and taking part in the King’s Head Pub Quiz, where the team are becoming accomplished losers! • Cllr Kendall is a member of the Community Facilities Committee and is a WWPC representative to the Wellesbourne Sports Association, Wellesbourne Matters and Chedham's Yard. He is also one of three Parish Councillor trustees of the Wellesbourne Sports & Community Centre. I was born in the West Midlands in 1944, the only child of William and Edna Mann. My Grandfather had a coach business called Manns Coaches, which my father, brother and sister took over on his retirement. My mother started up a Mother and Baby clothes shop in Smethwick. I attended the Technical School there and went onto an apprenticeship with Pilkington Glass Company, there I obtained full qualifications in Engineering, with honours. I went on to various Engineering Companies and Management. In 1968 I met my wife Gillian and we married in 1970 and in 1973 our Son Stephen was born. We eventually moved to Stratford upon Avon, this was about 40 years ago, again to work in Engineering Management. I then decided to start my own business about 15 years ago. We moved to Wellesbourne about 7 years ago on retirement, we now live in a lovely Bungalow on the Dovehouse Drive overlooking the farmers field where we are lucky to see the farm animals plus the wild birds, foxes and Deer. I was elected to the parish council in May 2012. I have lived in Warwickshire for forty years working in education and have lived in Wellesbourne for thirty of those years. My children have been educated here and now have moved back to the village with their families. I am involved with various groups in the village and am a volunteer with a national support agency, working in Warwickshire. • Cllr Prior is Chairman of the Parish Council and of the Community Facilities Committee, and an ex officio member of all WWPC Committees. She is also a WWPC representative to the Neighbourhood Plan team, Wellesbourne Sports Association, the WALC Southern Area Committee and Wellesbourne Matters, and is one of the Parish Councillor trustees of the Wellesbourne Sports & Community Centre. I am married with a daughter. I have lived in Wellesbourne since 2001 and within Stratford Upon Avon district since 1990. I joined the council in November 2011. I was closely involved in the preparation of the parish plan (including consultation with Wellesbourne residents) leading to its adoption in June 2011. • Cllr Shepherd is Vice-Chairman of the Parish Council, Chairman of the Finance Committee and an ex officio member of all WWPC Committees. I have spent the last 20 years living in Wellesbourne with my wife and two children, both of who have graduated and moved on to exciting jobs. I have spent most of the last 15 years working in Warwickshire with small to medium size companies helping them grow and expand, in partnership with Business Link, Grant Thornton, Coventry University Enterprises and finally a Warwickshire County Council and Warwick University project focussed on growing enterprises. Corporate life from 20’s - mid 40’s was working with Phillips Petroleum, my own training company for 10 years, and then with outsource company Capita. I was a qualified football coach and from 2004 - 2009 ran junior boys football teams at St Peters Celtic and Snitterfield winning two cups and one promotion. My interests and hobbies include National Trust membership, motorsport, golf and tennis, as well as sampling many local restaurants. You are a member or co-opted member of the Wellesbourne Parish Council and hence you shall have regard to the following principles – selflessness, integrity, objectivity, accountability, openness, honesty and leadership. You must be as open as possible about your decisions and actions and the decisions and actions of your authority and should be prepared to give reasons for those decisions and actions. You must declare any private interests, both pecuniary and non-pecuniary, that relate to your public duties and must take steps to resolve any conflicts arising in a way that protects the public interest, including registering and declaring interests in a manner conforming with the procedures set out in the box below. If an interest has not been entered onto the authority’s register, then the member must disclose the interest to any meeting of the authority at which they are present, where they have a disclosable interest in any matter being considered and where the matter is not a ‘sensitive interest’. 1 A ‘sensitive interest’ is described in the Localism Act 2011 as a member or co- opted member of an authority having an interest, and the nature of the interest being such that the member or co-opted member, and the authority’s monitoring officer, consider that disclosure of the details of the interest could lead to the member or co-opted member, or a person connected with the member or co- opted member, being subject to violence or intimidation. The Localism Act 2011 requires councillors to register any disclosable pecuniary interests. The same Act requires these details to be published on a parish council's own website or via a link to the website of its principal authority. Information in relation to Wellesbourne & Walton Parish Councillors can be found on the Stratford-on-Avon District Council website by clicking here.